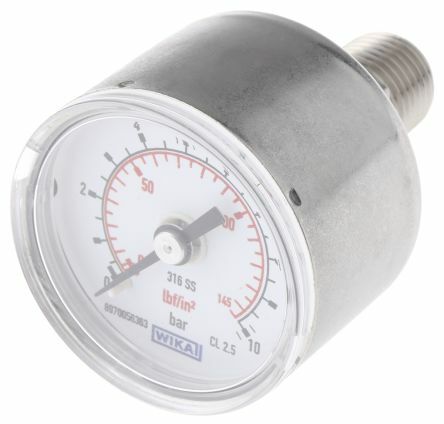 These Wika pressure gauges are designed on the bourdon tube operating principle. 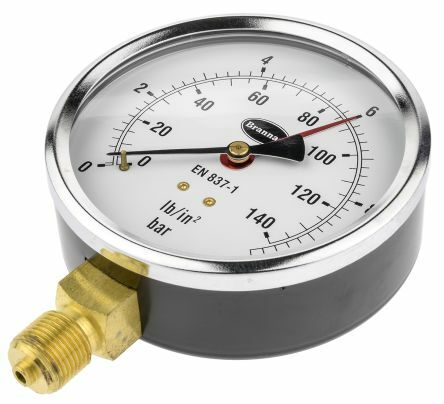 These gauges can be used within small capacity compressors, medical engineering, heating and Air Conditioning applications. Ideal for pneumatic applications. 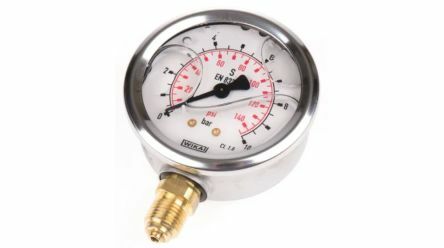 These gauges are reliable and work well monitoring the pressures of gaseous and liquid media (except highly viscous media). Pneumatics, heating and air-conditioning technology, small capacity compressors and medical engineering. Suitable for all gaseous and liquid media that will not obstruct the pressure system or attack copper alloy parts. 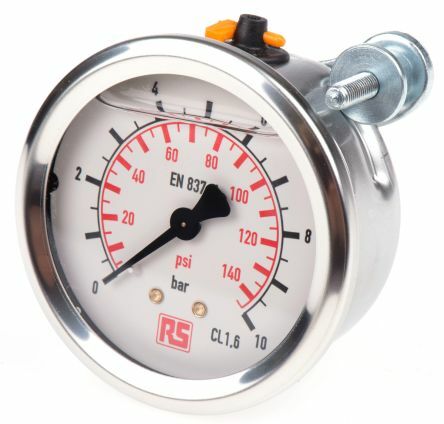 Pressure Gauges for measuring points with high pressure loads and vibrations. Suitable for use in the hydraulics, compression and shipbuilding industries. Vibration and Shock ResistantSturdy DesignScale Ranges 0-1000 Bar. Gauges. Stainless steel centre back gaugesSuitable for 1/2 regulators and filter-regulators.